The following are on-going groups for adults & teens. If you are interested in becoming a member of one of them, please send us a message! Chapungu Marimba began as the Purple Screaming Eagles in 2006. Chapungu means ‘Eagle’ in the Shona language of Zimbabwe, and members still give a nod to their roots by wearing purple to perform. This advanced beginning-intermediate adult class is made up of original Kushereketa members and their friends and family. Machikichori is a fun-loving intermediate adult marimba class. Machikichori takes themselves lightly, but their music seriously! In this advanced beginning-intermediate marimba class, students are learning and implementing jamming techniques, building their shared repertoire, and focusing on improvisation and groove to enhance and deepen their marimba experience. The following are auditioned performance groups. If you are interested in becoming a member of one of them, please send us a message! This is our signature marimba band, made up of instructors and advanced students committed to learning from our Zimbabwean Teachers and Visiting Artists. This auditioned, performing, 7-piece marimba orchestra includes bass, baritone, tenor, alto, and soprano marimbas. 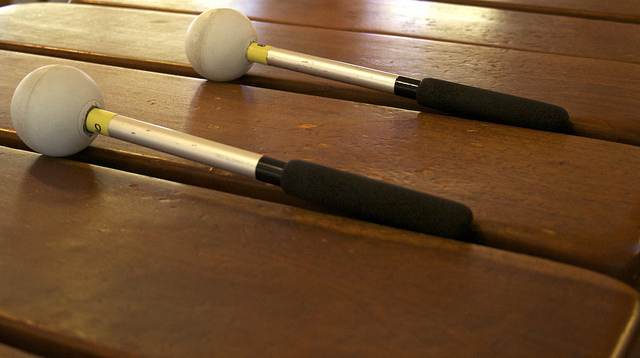 The sound is pure marimba, as it is taught and performed in Zimbabwe. This performance group is made up of professional and student percussionists that accompany our World Music Community Choir. The group learns and plays marimba, mbira nyunga nyunga, mbira nhare, djembe, djun djun, cowbell, hosho, clave, shekere, and more. Pieces and instrumentation announced each session.